This was e-mailed to me by my contacts and I think its worth sharing. >>>It’s not always that we bring in successful Filipinos abroad to speak on stage to share their success story in Manila. After a couple of meetings and exploratory talks, we finally convinced ourselves that “this is it”–this is one opportunity where they can teach us what they’ve learned over decades of struggles and achievements. Health and Wealth Summit intends to gather businessmen, entrepreneurs, corporate executives, managers, supervisors, community and church leaders, and students in a four-hour seminar conducted by Dr. and Mrs. Cris Enriquez, an epitome of a Filipino Dream in America. In four hours, we expect you to learn how to become wealthy and healthy in our very own country. We’d like to see you growing by listening and understanding some principles that our speakers will embark once they go on stage, live! We simply want you to learn from them as they speak in-person. We want you to gain significant information on how good health and enduring wealth are built. Dr. Cris is recognized as the only medical doctor in the world practicing in four fields of medicine simultaneously. He’s the author of “The Healthy Life” published in the United States. His wife is as equally successful and active as he is in teaching and providing trainings in corporate America. As we prepare this event, there have been a mix of emotions among us. We are excited and afraid at the same time. We’re excited because here comes another opportunity for us to help a person like you and afraid because you may deny this invitation because of time constraint among other excuses. But we trust that you will enthusiastically join us this time. Remember that we’re staging this for FREE. And we’re doing all these because we wanted to provide you with another learning venue where you can bring in your family, fellow workers, and friends. Tel/ 729.9541; 482.6927 or Mobile/ 09276603920 and look for me (Aila). If you want to sponsor this event, you can contact us. Alternatively, you can download a registration form by clicking this link and fax it to 729.9541. PS. It is important that you will keep your commitment to this event as your seat is as valuable as one life deprived of an opportunity to learn when you confirm and fail to attend. So my dear readers, if you are interested to attend in this event, make your reservations ASAP as seats are just limited. I can’t attend this because of my tight schedule but, I’m usually present in this gatherings. I was there when EBAY held its first gathering in 2006 at Shangri la Makati and it’s also free 🙂 I had many freebies from that event. These are just one of the free events and gatherings I attended, of course the fare is yours:) But it’s really worth it as it enhances your knowledge and you will also have the opportunity to meet new contacts. I just finished creating the blogsite for San Francisco Day Care Center. This is one of our 3 day care center projects. They have almost 70 day care students. I designed and printed their student ID cards and as you can see the number of students does not give us enough profit but we are giving them free web presence. Giving out free IT trainings and web presence are my bid for social responsibility. I always believe that education plays a major role in nation building. For this reason, I am sharing my skill to achieve these goals. I already conducted several free IT trainings in the past and this is my contribution to bridge digital divide in my own way. I am encouraging organizations and public schools in my province to avail the advantages of having web presence which shall benefit the students, the parents & the school. It will enhance communication because the school will have a good venue to post current activities and upcoming programs. Social Workers are also considered as “Living Heroes” because of their unceasing effort to help and serve the community. Running and teaching a public day care center requires patience and passion. Mrs. Rebecca Manalang is one good example, she is not just teaching the kids but she’s extending motherly love as well. I just finished the design for their ID and pictorial is ongoing. 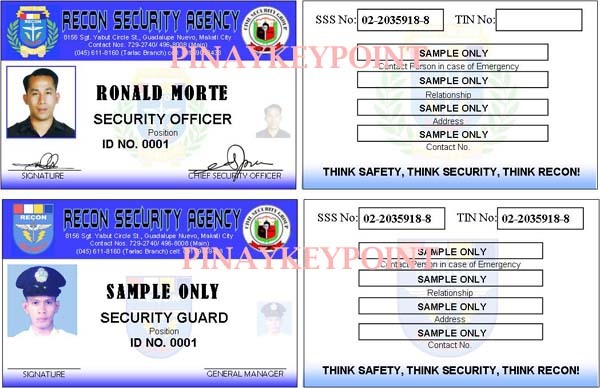 If we reach the target of at least 300 security guards, we will provide them a free web design for their local website in Tarlac Branch. 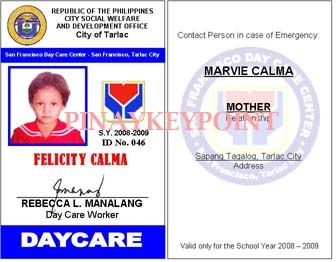 We also have an ongoing pictorial for students’ ID at Maligaya Daycare Center, Paraiso Daycare Center and San Francisco Daycare Centers. 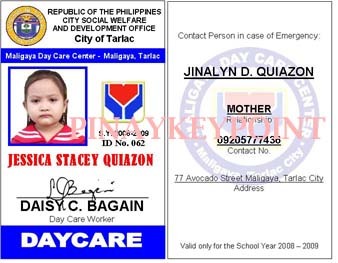 These are Public daycare centers funded by Government under the administration of DSWD- Department of Social Workers and Development, Tarlac. 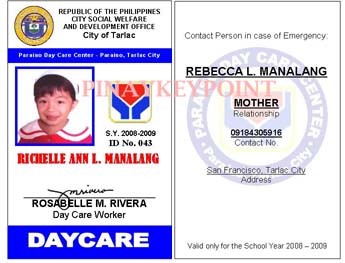 I will also create a free website or blogsite for these 3 daycare centers so they can post photos of their school activities and programs. 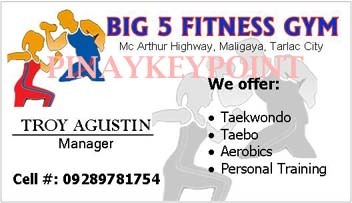 We also closed the deal for Big 5 Fitness Gym, Mc Arthur Highway, Maligaya, Tarlac City. I designed their business card and membership card and we still have an ongoing negotiation for their ID and free website design. 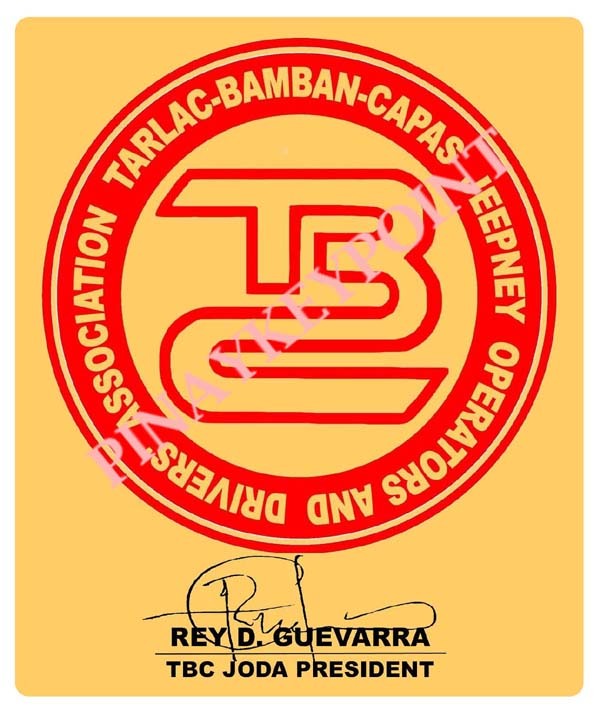 And lastly, we just finished printing the stickers for TBC – Tarlac-Bamban-Capas Jeepney Operators and Drivers’ Association. They are considering to hire our service for their ID to avail of free IT Training and website design. Giving free IT training and Free Website design are part of my bid for social responsibility. I am also giving free IT trainings for the kids in our neighborhood every summer vacation and my eldest daughter Jessica is helping me out with this project. 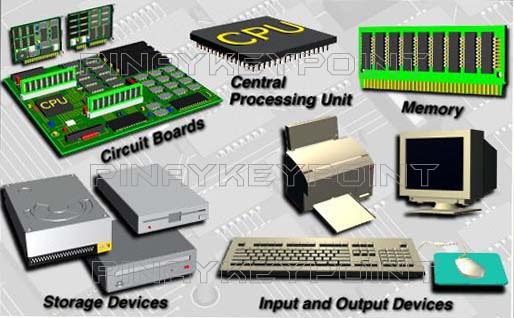 We are also planning to organize a youth IT Club in our community. I don’t have enough money to give out but we have skills to share and in our little ways, I know we are doing our share in nation building and I’m glad that my kids are joining me in realizing these goals. I am holding tutorials both online and offline. I am not a teacher by profession but Teaching is one of my passions. My mother is a grade school teacher and she used to tell me that teaching is a very fulfilling profession. Some of her students are already holding government positions and some have decent jobs and she’s happy everytime she meets them at the mall with their families and would stop and say hello and would acknowledge her wisdom and patience. I am helping her to fix her visual stuffs since I was in grade school and I remember that my first experience in teaching was when I was in grade 5. They had an emergency conference, she went to my room and asked me to watch her grade one class. I was very hesitant at first but she told me to just give them some task so they won’t go out of the room. She endorsed me in her class and warned them that I would record the names of the noisy students and they will be punished when she return. When she left the room, one student raised her hand and asked me, “What is our lesson for today ma’am?” I was surprised and I stood infront of the class and told them I will be reading a short story and they must listen carefully because I will ask them afterwards. I was amazed how they listen silently until I finished the story. After that I asked them to draw the characters on the board. It was fun how they gave me their own interpretations and I really enjoyed it. After that day, my mom usually asks me to watch her class everytime there is an emergency conference. Some of my mom’s students even call me madam during recess or even outside the school. That was a great experience and maybe you would ask me why I didn’t take her field. Well, that’s another story lol 🙂 But it seems that I was destined to teach. When I was working at Japanese Corporation, I was assigned to conduct trainings for newly hired employees, that was before I became a labor union leader. 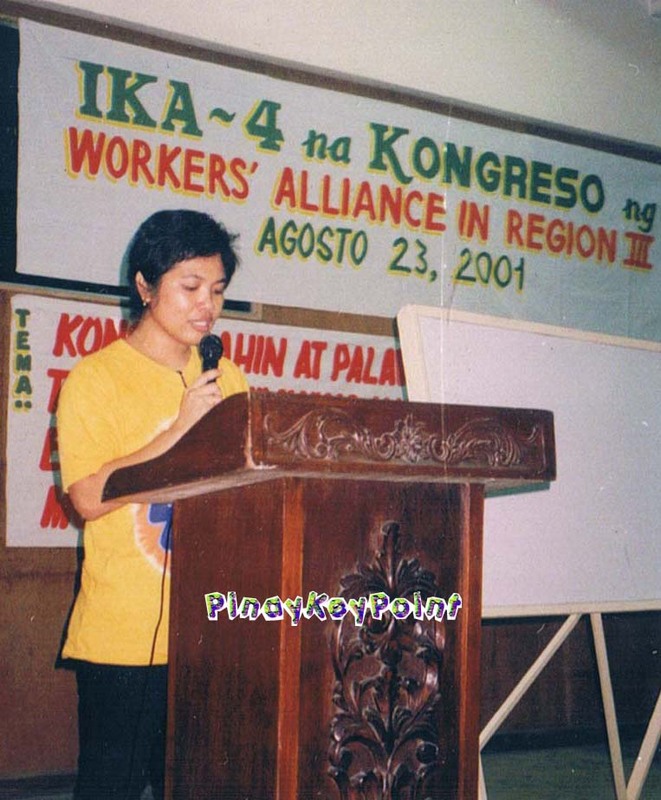 When I ran for the position of Union Vice President of our worker’s union, IWSWU (International Wiring Systems Workers Union), I gained an overwhelming votes and it was surprising because I was just a stranger in Tarlac during those time. Maybe, my church activity has helped me a lot. We had 4 thousand members then. My 5 years as union vice president were spent educating my members about their basic rights as a workers. We formed an Education Committee and we held continuous labor educations. 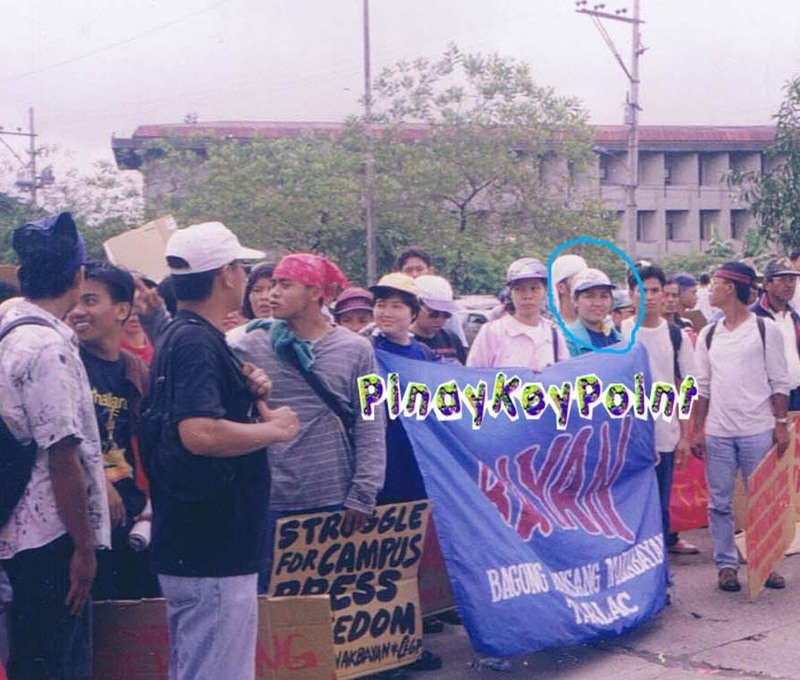 I was also the Chairman of the Broad Alliance of Trade Union in Tarlac then. These photos are my guests from ISA, International Solidarity Affairs. 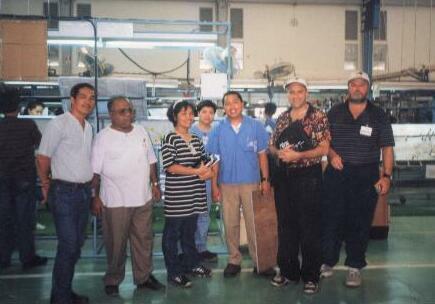 Most of them are journalists and Trade Union leaders from different countries, Germany, Australia, Indonesia and US. They usually integrate with us to learn our culture and trade union struggles. I usually narrate the actual trade union situation in the area and we usually share each other’s experiences on how we resolve issues and grievances. This is a very rewarding activity to both of us as we are able to learn from each other. I was 7 months pregnant in this photo. I was with Japanese Trade Union Leaders and Journalists and we had a local village immersion at Hacienda Luisita. These are farm workers who are facing land issues and we gathered them after their work so we will be able to know their issues. I had my share in grievances, court battles, rallies, walk-outs and other forms of collective struggles to stand for workers’ right both inside and outside the company premises. This has led me to the streets walking with clenched fists, shouting and asking for a change. Years of my stay as a union officer has changed me and I emerged as a fearless leader doing my speeches during rallies which is usually held in the middle of the streets and trucks serves as our stage. Those were the years that we topple Estrada Administration. But the succeeding years after a new president was put in power, series of political killings has been exercised killing many of our allies. Most of the active leaders in different organizations which are radically fighting and stands for the call of decent wages and humane working environment were shot to death. Some of them were tagged as terrorists when in fact they were just simple workers who are just fighting for workers’ rights. I myself was included in 10 leaders in OB Hit list in 2005 and sad to say that most on that list were already in their grave. My father who is a retired military advised me to slow down and leave my job because my life will be in great danger. I am a mother of 4 kids and in as much as I want to serve the people, I knew that my kids are waiting for me at home everyday hoping that they will see me alive. Leaving my job which I spent half of my life and the people who are defending on my leadership was the hardest part of my life. Seeing their tearful faces while I was submitting my resignation was so hard to endure. Even the tough guys who used to accompany me were crying and I was so stunned for their love and support. It took me more than a year to recover that loss and the internet has served as my healing balm. Now, I am teaching again. I am holding IT trainings either free or paid depending on the arrangement. Recently I conducted an IT training for Martinet faculty and that was in my previous posts. I will be creating online tutorials here but it will be in Tagalog language. I will add another page for that. Why Tagalog, because it’s for my fellow Pinoys both here and abroad. There are already a lot of trainings here in the internet for you guys who are in foreign countries. At para sa mga kababayan ko, gagawa ako ng mga modules para madali nyong maintindihan. 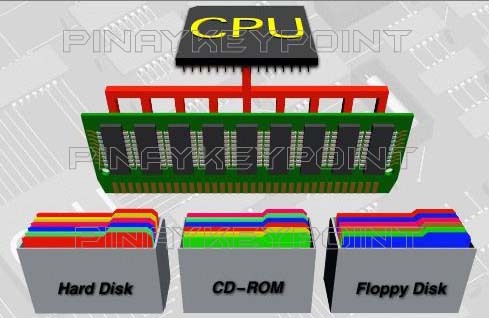 Magsisimula lang muna tayo sa simple o basic IT Skill. Antayin po lamang ninyo sa mga susunod na araw at ipo post ko ang mga paunang lesson natin. Okay guys, till here and see you in my next post. Thank you for reading. 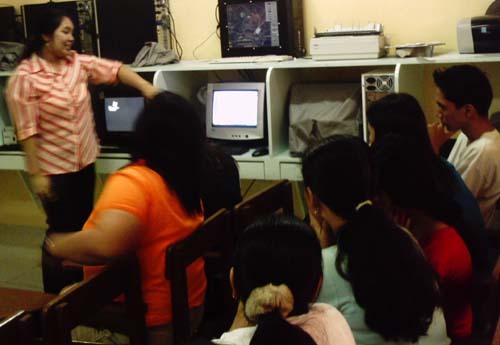 I conducted an IT Training at Martinet School Inc, a private grade school at Maligaya, Tarlac City. The training was attended by 17 participants, composed of faculty and staff of Martinet school. Among the participants were Mrs. Josefina B. Tolentino, Martinet’s principal and Mrs. Amanda L. Reyes, School’s Board of Director. 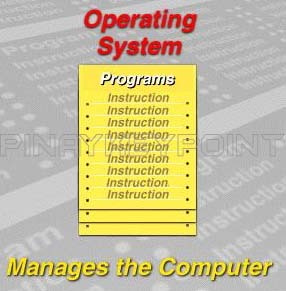 The Training was focused on Computer Fundamentals, Internet and the World Wide Web. The faculty and staffs were actively participating in the discussions. The training started at 9am and has ended at 4pm. I was very pleased with the warm accommodation of Mrs. Tolentino and Mrs. Reyes. They are still looking forward for continuous training in the future. IT Training and seminar is one of my bid for social responsibility. I believe that the key to progress is to help the country in nation building, and one important factor is education. Since, Philippines is one of the third world, the digital divide is so prominent. Most people in key cities are still left behind as far as IT is concerned. In my experience, people are just using computers for documentation and internet is just for email, chat and research. 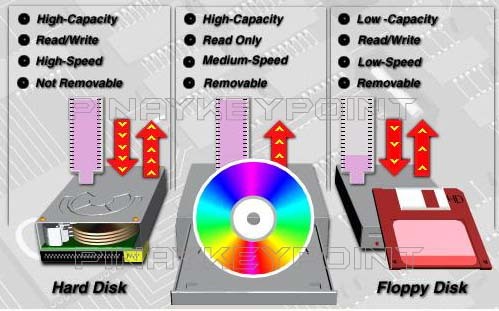 This little knowledge goes for many years as there are so few institutions giving out free IT Training. In this training, I gave emphasis in integrating IT in educating students. I am urging them to go out from traditional blackboard and chalk and maximize the use of computer and create interactive materials as aid in teaching. Most of the teachers agreed to this call but they raised the problem that they need to understand and learn further the use of presentation programs. We agreed in continuous training and support. I know this will add up to my busy schedule but I am happy to impart my knowledge and help them enhance their skill. I just hope that someday, I can find people to support me to organize an institution wherein we can give IT training for free. We really need this in my country.